A revolutionary shell vented design that is among the lightest helmets produced while providing additional coverage to protect users. 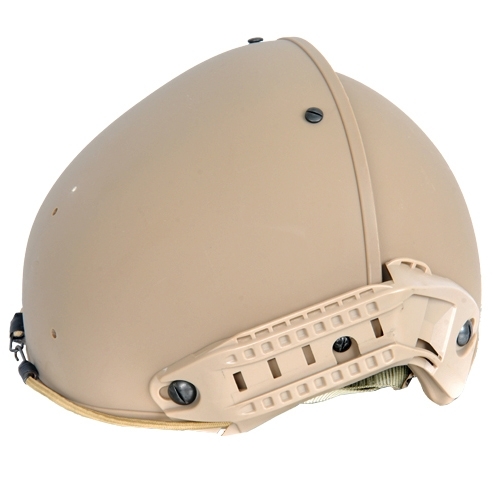 As with most modern helmets this model features mounting platforms that accepts accessories through the mounts found throughout the helmet. At the front of the helmet you will find mount points for if you ever wanted to attach an Integrated Night Vision Goggles plate to mount NVG goggles. On the sides are side rails that can accept a variety of compatible accessories including flashlights or Go-Pro cameras (sold separately). 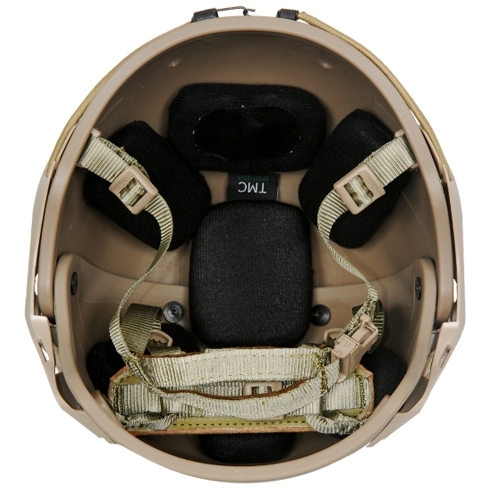 Under the helmet features modular padding points you to provide comfort for the user while retention straps can be adjusted to fit any head size. Please take notice these were manufactured for AIRSOFT USE ONLY and are not by any means designed to be used as a safety helmet to protect against impacts or gun fire - as they will not. Yet these helmets are produced with a tough ABS polymer that will do fine in deflecting BB impacts, these helmets by Lancer Tactical are designed solely for play in airsoft.